Continue reading"Thoughts, Prayers, and Action"
For traditionalists the concept of the Shabbat project and the emphasis on a single shabbat’s worth of observance might appear as the antithesis of Judaism, but as our community evolves, we need to look beyond traditional avenues of engagement and expand our reach into the wider community using different methods, to spread the word of Torah and the love of our community. We need to spread out Torah within the community because without observance, education and appreciation of our heritage there will be no next generation. Diaspora Jewry for the most part, has always been entirely focused around the synagogue, be it the building, the rituals or the services. Nowadays most shules are underutilised and unable to focus on the sections of the community that need the attention. When you consider the role a Shule should be playing in the community versus what actually happens, it is clear that change is desperately needed. The accepted model of one Rabbi one Shule is an antiquated system that no longer benefits the community, especially considering that the majority of Rabbis have so much more to offer, than simply leading services and delivering a weekly sermon. We as a community need to give the Rabbi’s a chance to demonstrate leadership in the community, outside of the parameters of the four walls of the synagogue. The Perth “Rabbi Without Borders” (RWB) experiment successfully led by Rav Brad Kitay, is an outstanding success. See what is possible when you are free from reporting to an institutional board, stuck in the past. 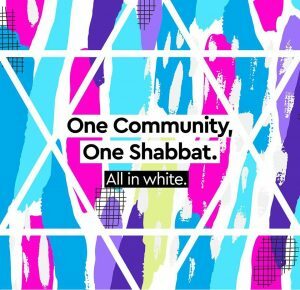 The Shabbat project this year, was one of the most positive events in our community. Over 500 people showed us what was possible for our community when we all work together and get on and just do the job, rather than wasting time on petty intra-organisational politics. Kol Hakovod to all the volunteers, helpers, assistants and people that joined in to make it such a success. You have lead the way and shown us what is possible and we are indebted to your leadership. Continue reading"One Angry Jewish Voter"
Without a doubt Perth is a very transient community. Riding the back of South African immigration in late 80’s and early 90’s, led to the expansion of the community and it’s institutions. The mining boom enabled further expansion of the community, with many young families joining the Perth tribe. In the post mining boom and GFC world, Perth is a changed place. Many families left to head back over East, for want of better educational options aligned with their religious objectives. Many left for employment and career options. In a nutshell Perth is no longer on a growth path as a community. At best it is in maintenance mode. Historically Perth’s Jewish community has only expanded due to an external global event, think recession, escape from Europe and then South Africa. Community infrastructure (some in urgent need of a rebuild), built over the past few decades served a different market and a different community. As a community we spend a huge amount of money to maintain buildings be it a shule, school, or community centre. We can no longer afford to maintain the existing infrastructure, use it inefficiently, and afford the maintenance. We all drive past the Jewish Centre and lament that it needs to be rebuilt and then ask “How can we afford to build a new Jewish centre ?”. Carmel School is one of the finest institutions in our community, so much time and money has been put into the school to make it the academic success it is, yet the site is dormant two days a week. Combined our five shules at most serve 400 people out of a community of almost 8000 people on Shabbat morning, yet to cater for this need, Perth Hebrew Congregation and Dianella Shule each maintain infrastructure that in one case is way too large for the population it serves and for the other too small for its growing community. The Jewish Centre has a place at the centre of our community, but it needs to be sustainable, practical and supported by all, not just a few. It needs to be a unified effort to guarantee success. What does a redesigned Jewish Centre look like in the future ? A multi use facility capable of generating commercial returns to subsidise shared community infrastructure and upkeep of the building. A multi storey facility with commercial tenancy’s for perhaps a medical centre, or offices. Short and long term accommodation for community shlichim, visitors. A community kitchen to be used by aspiring caterers or those who want to cook up a storm for a family simcha, similar to Our Big Kitchen in Sydney. Offices and space dedicated to essential community organisations such as CSG and the Mikveh. Facilities for individual or combined religious services. A world class function centre, big enough and ritzy to cater for everyone’s tastes. A retail facility for The Kosher Shop with a dedicated eating area. Activity rooms for the youth groups Bnei Akiva and Habonim. How do we fund our dreams…. Let’s start with redeveloping the PHC land into a retirement village. Similar property developments for the RSL and Bethanie have generated healthy returns and as a community are only getting older. The shule(s) as in PHC and Kol Sasson, Kosher Shop, Mikveh, admin offices, and the daycare could be relocated to the new Jewish Centre site. Dianella Shule itself sits on a more modest property size, more aligned with its needs. It also requires significant upkeep and maintenance and as the building ages it will also require more funding just to keep ticking. It too could be moved into the Jewish Centre or find a home in the school. The elephant in the room is how much money is sent to Israel annually, from the many fundraising organisations, and while I 100% support the State of Israel, I do not believe we are in 1948 where every foreign dollar helps those in need. Many of the Israeli fundraising organisations that we support today, were established for specific reasons which have long since become null and void. They have morphed into organisations supporting causes that are worthwhile but not critical. Other communities around the world withhold a portion of funds for local purposes and it is time the community looked at this option. We currently allow any organisation to operate carte blanche in Perth, while paying no respect to our local community. As radical as these ideas are, they will find acceptance because those of us with vision and foresight can see where we are heading. There are so many other causes in our community that need funding and the money will not come from traditional sources. We have to make better use of our resources and show we can manage community assets to benefit the entire Jewish population. There will be resistance to any move to combine Jewish activities because of politics, power, greed, and ego. What can you do ? How does an individual change an organisation’s focus ? If you really believe there is a better plan, urge your leaders and boards of management to consider an alternative strategic direction. If they do not listen show them people power by not supporting fundraising activities and not paying membership until there is real change. The time for action is now.